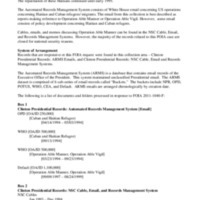 This collection consists of records regarding Operation Able Manner. Begun five days before the beginning of the Clinton Administration, the Coast Guard operation achieved the interdiction of over 25,000 Haitian migrants at sea, many of whom were taken to the American naval base at Guantanamo Bay, Cuba for processing. Operation Able Manner concluded in November 1994 after the return of President Aristide to Haiti. The records in this collection include cables, emails, and memoranda discussing the operation. 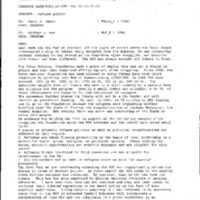 See also, collection "Operation Safe Haven," FOIA 2011-1045-F.